Karst, one of the greatest peculiarities of this region, is significant not only for Europe but globally as well. 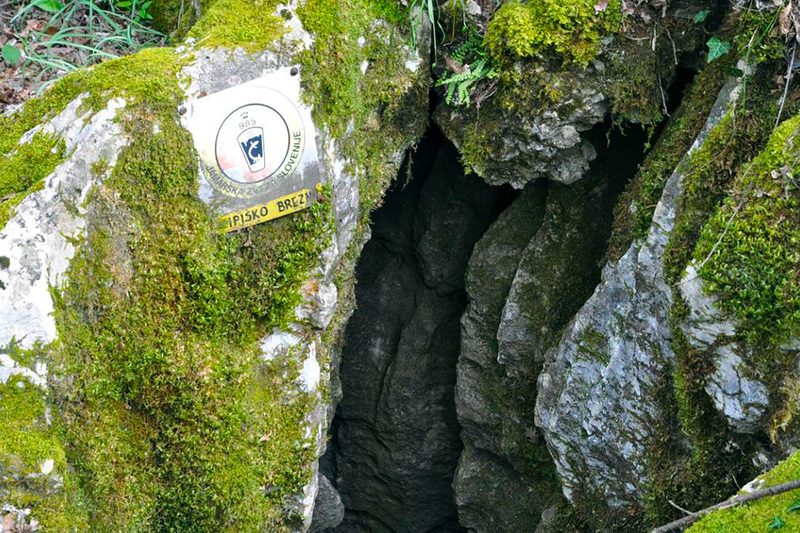 The Dinaric karst area reaches from Albania to Italy along the west coast of the Balkan Peninsula and covers approximately 60,000 m², forming the largest karst region in Europe. Its natural characteristics and diverse animal and plant species, such as immortelle, wild orchid, olive, deer, hare, tortoise, lizard, snake, and butterfly, its unique landscape, and its cultural heritage are irreplaceable and at great risk. Because of this wealth of natural and cultural heritage, initiatives are underway to include the Dinaric karst in UNESCO’s list of world heritage. The municipalities of Vrbnik and Punat in Croatia and Kobilarna Lipica in Slovenia are partners in the "Protecting Diversity in Karst Regions by Revitalizing Culture and the Renaturation of Natural Heritage" cross-border project, known as "Karst Revived". The Operative Cross-Border Cooperation Program Slovenia – Croatia 2007 – 2013 is a development program co-created by Slovenia and Croatia to solve common problems and tap shared potential. The program was co-financed by the European Union as an Instrument for Pre-Accession Assistance, and has been financed as part of the European Fund for Regional Development since 1 July 2013. 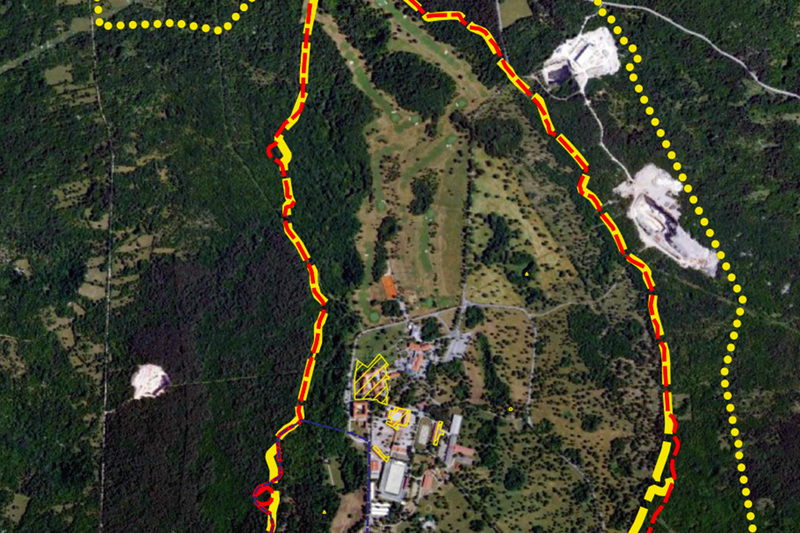 The karst region management plan focuses on three karst regions: the Lipica Stables estate on classic karst in Slovenia, the traditional path from Vrbnik to Kozica (Vrbnik municipality), and the traditional path from Prgon to Tri križa (Punat municipality) on the island of Krk in Croatia. The "Karst Revived" project will help provide suitable maintenance for protected and natural regions. It will help prevent the landscape from becoming further overgrown, increase the value of natural and cultural karst elements through both the revitalisation and renaturing of heritage. It will educate both the local population and visitors alike on the importance of natural and cultural resources and the ways in which they can be protected. The goal of the management plan is to provide guidelines by which to ensure the maintenance and protection of natural and cultural heritage in the pilot regions. The strategic guidelines and starting points of implementation plans are oriented towards the holistic protection and sustainable development of the region. The project’s lead partner is the Lipica Stud Farm in Slovenia, the famous home stable of the indigenous Lipizzaner horse, an equestrian centre and a prestigious tourist area. 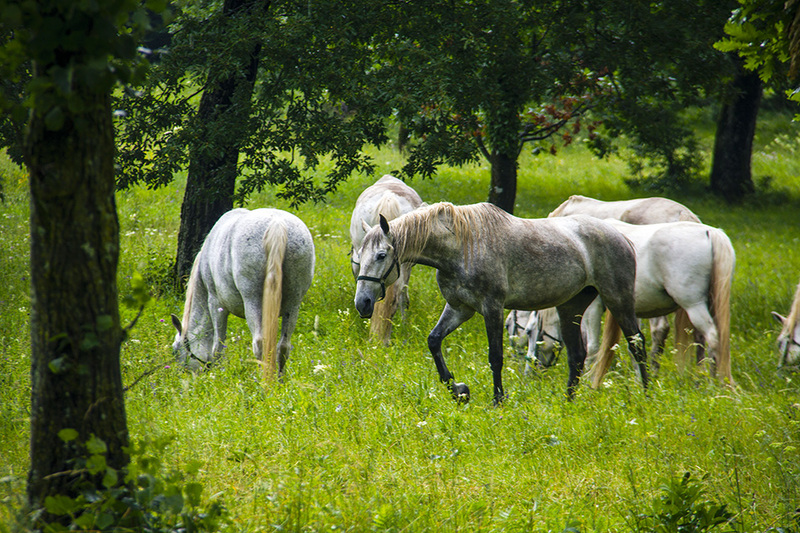 Lipica Stud Farm has always advocated a strong connection between man and his landscape, and the project has restored overgrown pastures and paths along sinkholes in the regions of Sirkovci and Bezovščina in order to provide additional grazing land to a permanent herd of 350 horses. Additionally, fences, dry stone walls, sinkholes, wells, reservoirs, and extensive old tree-lined paths have been preserved. Punat is a municipality on the island of Krk in Primorje–Gorski Kotar County, encompassing the towns of Punat and Stara Baška. Punat is known for its olive groves and "komarde", unique dry stone structures and masterpieces of traditional architecture mentioned in the oldest written text on this kind of structure. 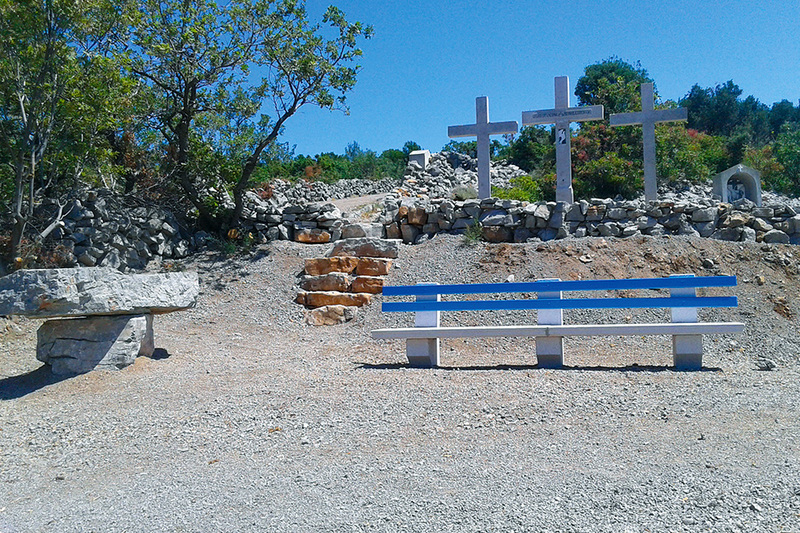 The project is aimed at renovating the steep, overgrown traditional path from the part of Punat known as Prgon to Tri križa and its unique dry stone walls, olive groves, way of the cross, and lookout point. Vrbnik municipality comprises four settlements on the eastern side of the island of Krk: Vrbnik, Risika, Garica, and Kampelje. The most significant industry in this region is agriculture, especially viticulture. Vrbnik field in the hinterland of Vrbnik is the largest region of fertile soil on the island beside the Baška valley. 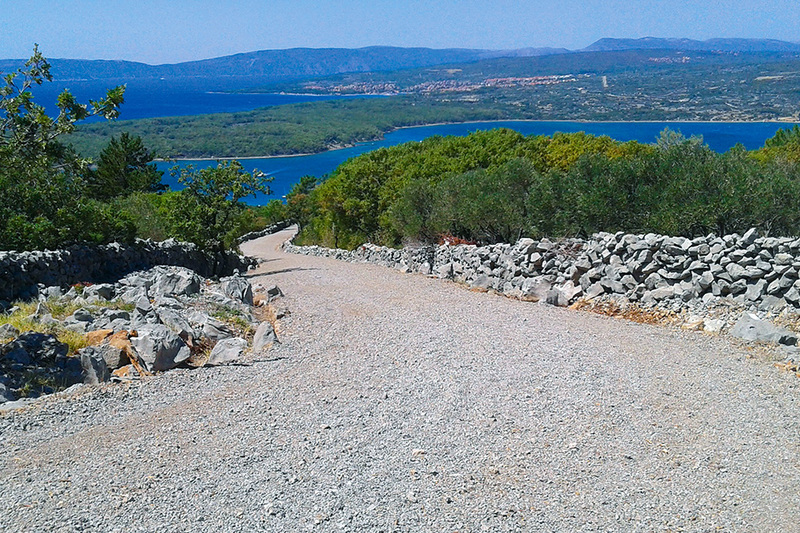 This region is rich in cultural and historical heritage, and the "Karst Revived" project has renovated the traditional path from Vrbnik to Kozica, which connects two natural beaches by a path through a pine forest. 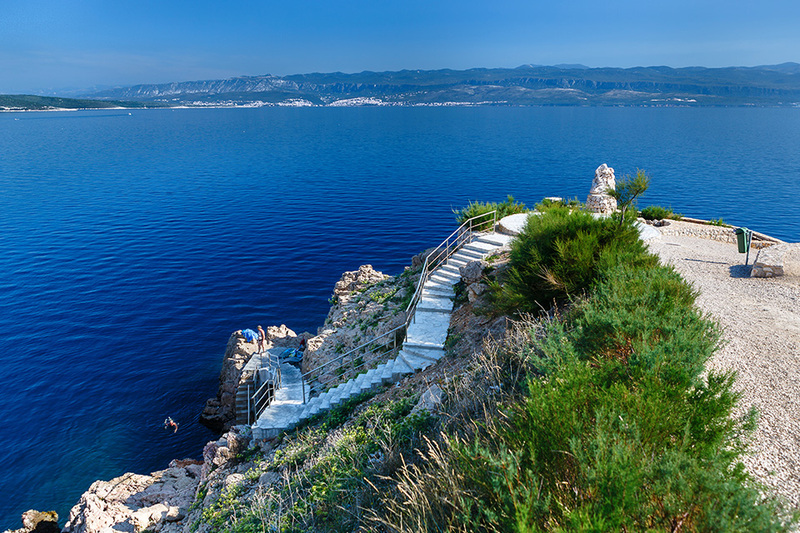 The karst area of Krk is rich in cultural and historical heritage, as well as in animal species, making it possible to see the rare and protected griffon vulture. The island also boasts a large number of reptiles and amphibians. The natural heritage and the cultural landscape of karst regions are intertwined, and their development potential is significant in agriculture as well as tourism. More and more tourists are interested in exploring coastal inland areas, the interiors of islands, or the history of towns. We boast a wealth of historical, cultural, and natural heritage in these regions, and should make an effort to protect and renovate what we have inherited. These three pilot projects are indicators and good examples of potential success for other karst regions. The area in which we live is full of history and life we must not ignore. With a little effort, we can both help nature and fully enjoy all its beauty. Karst is beautiful—let’s protect it.